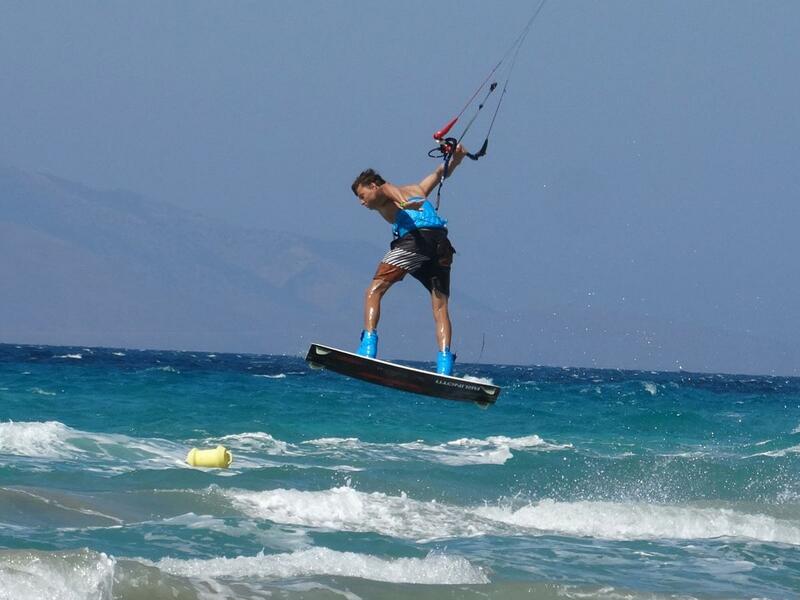 After almost 20 years of watersport experience, i would like to introduce you to my new concept for a personal and intensive kite training at Kohilari Beach - one of the best spots in Greece - located in Kefalos, Kos island. Shallow water makes the spot ideal for beginners, but also experienced surfers meet challenges in the area. You can rely on constant thermal wind, also known as Meltemi, up to 25 knots, especially between Mai and October. We also offer kitesurf equipment rentals as well as Stand Up Paddleboard rentals for the windless days. Every day out on the water is a good day. In our experience no matter if you are beginner, intermediate, or advanced student, one-on-one instruction is the safest and faster way to become a independent kiteboarder. One-on-one instruction allows instructors to tailor each kiteboarding lesson to individual learning rates and needs. Radio-assisted courses with waterproof headset makes the communication between instructor and student a lot easier. 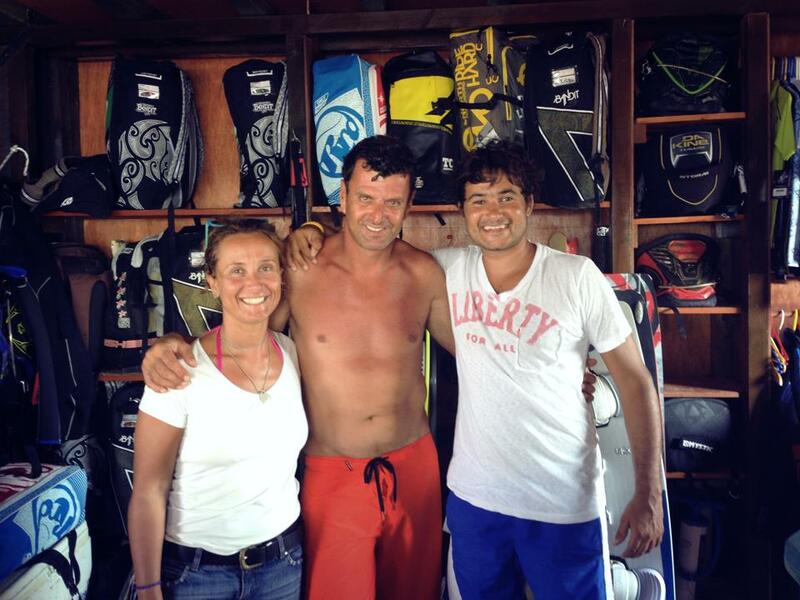 Our high leveled, friendly and multilingual instructors will make your courses an unforgetable adventure. We always follow the IKO methods and standards. We also rent equipment to experienced independent riders. 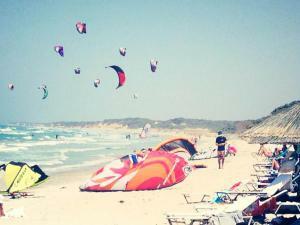 You can rent full or part of the kite equipment for either 1 or 2 hours or even for a whole day. In Kohilari Kite Center we update our collection every year. 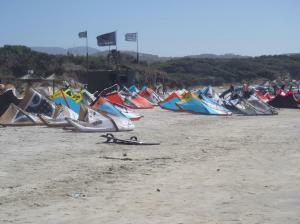 We can provide you all kite types and sizes. 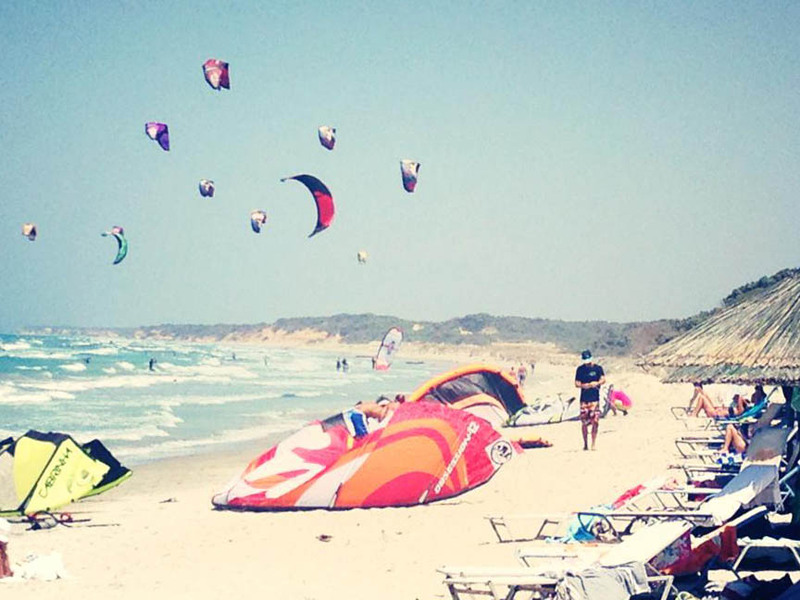 Choose between lightwind kites, foil kites, free ride kites or even wakestyle kites. We also have a big range of boards from light wind boards and surf boards or foil boards. 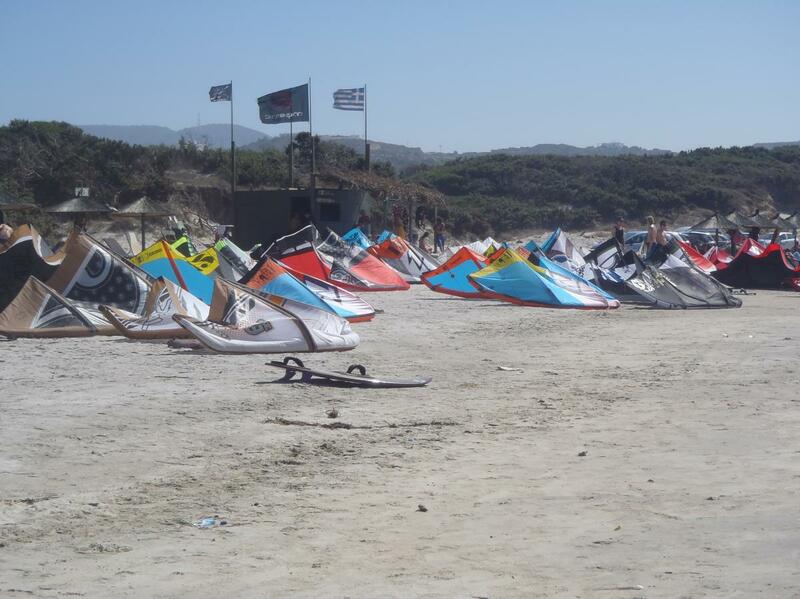 Full equipment rental includes: kitesurfing kite, bar, kiteboard, impact vest, wetsuit, kitesurfing harness, kite pump and helmet. For details about our rental prices and offers please email us because the prices change depending on the season. 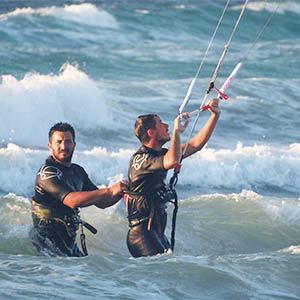 Do you want to discover kitesurf and learn how to master the wind? Your IKO Instructor will introduce you to various aspects of this amazing sport and teach you how to hone various skills on land before performing on water. 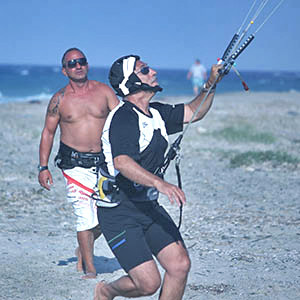 You will learn how to assess the wind and physical location, use the safety systems, set-up and control the trainer kite. Are you ready to get wet? It's time for your first water start. Get ready to explore the full potential of the wind power. 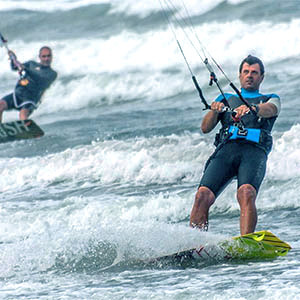 You’ll learn to use the kite power to body drag in all possible directions, water relaunch your kite, self rescue, recover your board and become proficient at the most valuable skill in kiteboarding ... riding on your own! An unforgettable feeling. It's time to become an independent rider! Your IKO Instructor will show you how to ride upwind, toe-side, attempt your first jump, and help you focus on advanced skills like controlling your speed by edging, changing direction without stopping, self-launching and self-landing safely. As an independent rider, you’ll be able to ride on your own and rent equipment wherever you go. 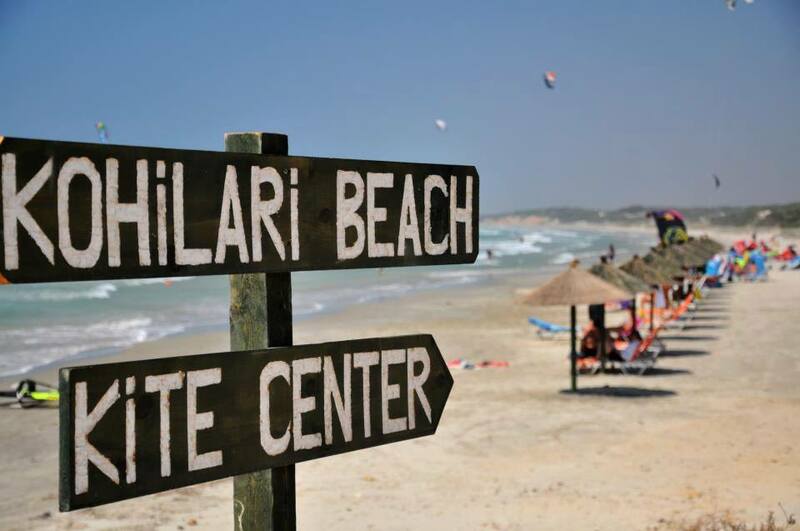 The Kohilari Kite Center is located on the south-western tip of the island of Kos and is due to thermal effects and the geological formation of the bay, the most windy surf spot of the island! Thanks to the shallow waters and the side onshore wind the spot is ideal for begginers. But also freestyle riders have the best conditions available, with some nice flat water breaks between waves. The Meltemi slowly build up in the course of the morning between 8-18 knots and reaches in the afternoon up to 25 knots. The station is located directly on the beach and has to offer materials from Ozone, Mystic and other top Brands. It should be mentioned that the material is renewed every year to guarantee optimal performance for our guests.